GO AND REGISTER BUT WASH YOUR HANDS FIRST | ItuaLive! The Independent National Electoral Commission (INEC) voter’s registration exercise began last week on a shaky note amidst complaints and ululations from various quarters. INEC has received criticisms born mainly from the snail speed of the process and the inadequate number of Direct Data Capture (DDC) machines deployed across various polling units in the country. In the first couple of days the machines did not arrive on time in several places and when they eventually did, making them work became rocket science. Even in the face of these impediments, the ever optimistic Nigerian spirit has manifested itself once more with many embracing the process with enthusiasm. They have waiting on queues as early as 5am in the bid to get registered early. A man in Lagos provided his power generating set in order to enhance the smooth running of the process. However after he was registered, he packed his “kaya” and left. Another woman, also in a south west state of Ekiti made umbrellas available for INEC officials to shield them from the scorching sun. It seems most people have come to a common conclusion. Nigeria must work! Bad governance is at the root of the Nigerian problem. It has nursed and bread corruption which has haemorrhaged the country in the last five decades. A credible voter’s register is a good foundation to lay for a free and fair election. Nigerian politicians have always tried to “bulldoze” their way into power. They want to capture power “by fire by force”. They are aware that a defective registration guarantees their perpetual control of state resources and they (politicians) would do anything to keep the status quo. In the recently conducted re-run elections in Delta state, results from Koko, a sparsely populated region had more votes than the summed votes from Sapele, Ugheli, Udu, and Effurun all of which are thickly populated. As far as we can tell, the elections were-violence-free in most places but could it have been said to be fair? So who were these voters in Koko? In the South-South and several other states, we have managed to always produce more voters than were previously registered. The only way to address the conundrum of bad leadership in Nigeria is to have a credible voter’s register where every vote will count. 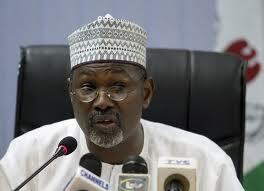 The leadership of the commission-Attahiru Jega- is seen as sincere unlike the erstwhile chairman, Prof Maurice Iwu. Jega enjoys a tremendous amount of goodwill. Iwu on the other hand is by far the most criticized Nigerian in history (closely rivalled by the evil genius and OBJ). He was so focused on electoral fraud that Jega will do better by default. Iwu who was supposed to be the chief umpire became a true and loyal servant of the PDP. The PDP used Prof Iwu to capture power. He de-registered candidates and flaunted several court orders at will. He was loved by corrupt politicians and feared by the opposition. 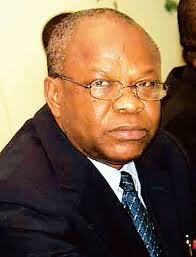 Prof Maurice Iwu was a man in his own league. As it stands Jega can do no wrong. He can ask for 84 billion, keep schools closed and still enjoy goodwill from Nigerians. Jega must love this! By new technology, I don’t mean that the DDC machines were never in existence or that we manufactured them. What I do mean is that this is the first time that finger prints are being merged with other demographic data to make for a more transparent process. The Data collected would be unique in that an individual’s fingerprint would be used to identify him on Election Day. This is meant to obviate multiple registrations and voting which has become a trend in Nigeria. This new system of registering voters is meant to be flawless. For example, if a Mr Lagbaja votes in “Ogboju” LGA in favour of ABC party and decides to better his party’s chances by going to “Kalokalo” LGA to place another vote, the machine recognises the similarities and voids the votes. This is however not palpable in Nigeria and is at best wishful thinking. For the machine to detect election discrepancies, it would mean that all data gathered are centralised (meaning that data generated in Ikeja can be pooled from Surulere or even Abuja). For this to happen, there would have to be an active internet connection (or an intra net) connecting all polling centres to a server . And going by the problems already faced during the registration process, it just doesn’t seem possible. What the DDC machines will achieve however is that it would reduce rigging by multiple registration in a single polling unit. It could also help in election petition tribunals. The DDC machines which are the fulcrum of the process have not lived up to the billing. At first their sensitivities were said to be too high and could not pick the finger prints. So voters are instructed to wash their hands with soap or dip their fingers in solvents like alcohol to improve the sensitivity. The problem has made the process excruciatingly slow in that some people have to write their names on a waiting list. Zinox computers, one of the companies that won the contracts to supply these machines have helped by sending their engineers to all states of the federation to upgrade the software. Doing this has helped improve the sensitivities of finger print pads. The failure of the NYSC adhoc staff to use computers has once again brought to the fore our derelict education system. Some of these graduates cannot spell Stephen different by Steven. This is really disappointing. Their excuse has been that the DDC machines are made to run on the Linux software as opposed to Windows and Oracle they are used to. The Youth Corpers have also not done too well in people management. They may have been trained on handling DDC machines but they were not prepared psychology to deal with people. Crowds can sometimes become irate when things don’t do their way and they need experienced people to calm them down (Companies don’t have public relation departments for nothing). The registration process has one more week to go. Am sure the government will extend the time. I have not registered yet but I will and I advise you all to do same but remember to wash your hands first. I find it disappointing when people make comments like 'there's no point registering when my vote will not count'. it's pretty obvious that such attitude has brought us to our present predicament. So we all should express our civic right to make things work. The other issue is that of reconciling registration and voting points. If the DDC machines are as sophisticated as they claim to be then why should i have to undergo some more processes to vote somewhere other than where i registered.